Sensitive skin is more at risk from exposure to toxic chemicals, not only because it’s susceptible to irritation, but because these chemicals can more easily penetrate skin’s malfunctioning outer layer and get inside the body. Unfortunately, most personal care products and cosmetics contain potentially harmful ingredients, some of which have been shown in studies to be carcinogenic or to disrupt normal hormone function. Considering skin’s vulnerability and the overwhelming presence of daily chemicals and irritants, it’s important for those with sensitive skin to use only safe, nurturing formulas free of harsh detergents, fragrances and dyes, or other irritants. 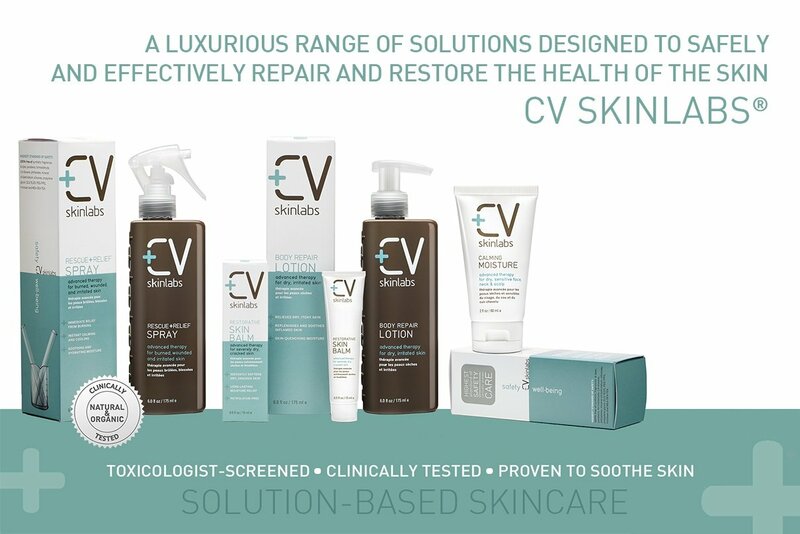 CV Skinlabs has developed a skin care line that has an unprecedented standard for safety—plus the potent ingredients to return to skin a youthful radiance and glow. Setting the bar higher than ever before on the safety of the ingredients, the functioning of the packaging, and the thoroughness of the testing has produced products that may be used with full confidence by men and women, and specifically by those with chemical sensitivities, sensitive skin, and conditions like eczema, dermatitis and chronic dryness.